Farming is a completely different profession than it was a century ago. Honestly, it’s even massively different from what was common practice a decade ago, and a lot of that has to do with the advent of precision agriculture. Here at Bottom Line Solutions, our top priority is helping farms make the most of their yield while using as little resources as possible, and that’s exactly what precision farming is all about. The key words here is “precise,” which means doing everything as carefully and deliberately as possible. Once upon a time, farmers would plot out their plan for a certain chunk of field by making decisions based on how much product they would need per acre. Oftentimes, it wasn’t even that precise, with many farmers planning per-25 acres or per-100 acres or more. Precision agriculture can allow for plans that work down to the square inch, but not without a number of new technologies to help. New hardware like Precision Planting SmartFirmers, auto-steering, harvest monitor, GPS, mapping tools, data analytics software, and even drones all work in congress to ensure that a field yields maximum returns as inexpensively as possible. New farming tactics require more of these types of technologies. One of the biggest boons from all this technology is the sheer amount of data it all generates. Instead of making farming a guessing game, those that have invested in this tech can turn farming into an exact science. With all of this available, why wouldn’t those people running farms remove the guesswork from the profession? While there are some up-front costs to investing in this sort of technology, the return on that investment can be impressive simply because the process itself is so much more careful and deliberate. Precision farming means using GPS plot points to avoid planting seeds in the exact same locations as the previous year, meaning more access to nutrients and a better overall yield. Precision planting also means getting seeds at the perfect depth and perfectly spaced from other seeds, while using the minimum amount of water and fertilizer to ensure their proper growth. Little savings add up big over time, which is a huge advantage for precision farmers. Using less inputs can help maximize the bottom line along with helping the environment. 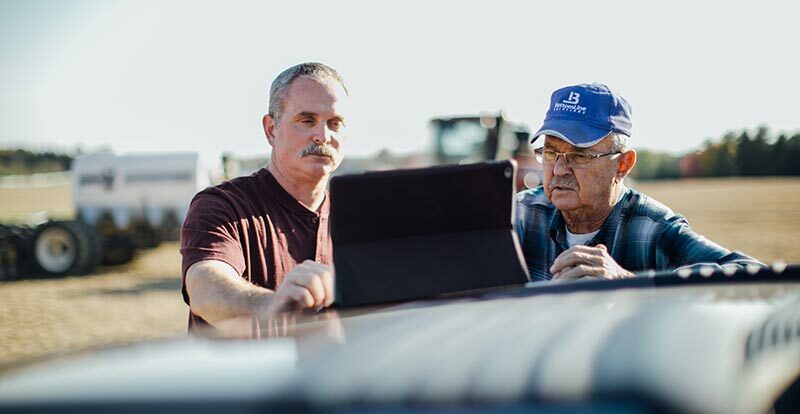 Collecting and analyzing precise planting and harvest data can assist in making planting and application decisions that will keep moneys in the pockets of farming families. If you would like more information about precision agriculture, give us a call or stop by Bottom Line Solutions any time. We are happy to show you these new technologies up close and give you a better sense of how they are working to completely revolutionize the way that people farm in the 21st Century.